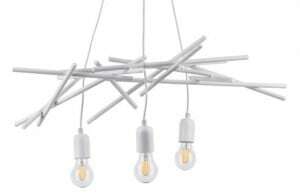 Thank you for submitting your question about Five-point pendant lamp Glenn white E27 60W. 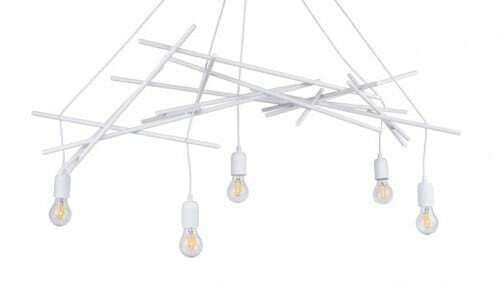 White hanging lighting that will not take up much space in the room in which it is located. 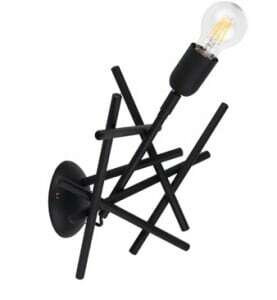 Lamp in loft style. 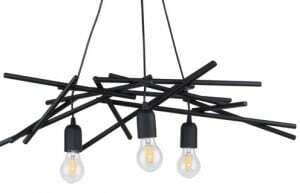 Five-point Pendant Lamp Glenn White, which in its appearance refers to simple and raw industrial spaces. Are you looking for a lamp for the hall , living room or dining room? The described product will satisfy your requirements. 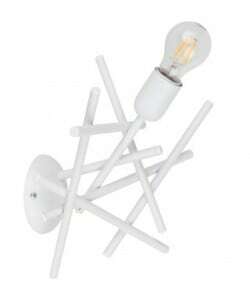 Lamp height: 920 mm, width: 600 mm. The lamp is made of metal. The described luminaire allows operation with 5 bulbs with an E27 socket and a maximum power of 60 W, which allows for sufficient lighting of even larger rooms.